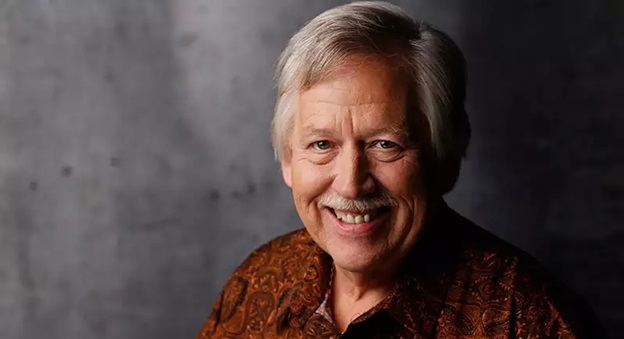 John Conlee will be performing live this year on June 7 at the American Bandstand Theater located at 1600 West Highway 76 in Branson. His one night only performance show in this theater is one of the best Branson shows that gives audiences of all ages a chance to enjoy listening his country hits. John Conlee blessed us with seven incredible #1 hits that topped the charts including “Common Man,” “I’m Only in It For the Love” “Got My Heart Set on You,” “Backside of Thirty,” “In My Eyes,” “As Long as I’m Rockin’ With you,” and “Lady Lay Down.” This country music star had ten additional songs that hit the Top Ten and, in total, he’s charted an incredible 32 singles on Billboard’s Hot Country Songs. The performance show of John Conlee in Branson isn’t a kind of glamorous entertainment, and that suits his fans just fine. It’s his down-to-earth manner and genuine approach to music that continues to win followers year after year. His sincere approach to singing country songs is a manifestation that he didn’t immediately choose music as a career. John started singing and playing guitar at the age of ten, but got his first job as a mortician. When he worked as a radio disc jockey, it reminded him how fun it was to entertain people with music. In addition to all those hits that topped the charts, John continued to add hits to his list that includes “Domestic Life,” “Old School,” “Way Back,” “Busted,” “Rose Colored Glasses,” and “The Carpenter.” He’s won an Academy of Country Music New Vocalist of the Year Award, a member of the Grand Ole Opry since 1981, and became an incredible country singer who loves nothing more than to entertain you. For nearly four decades in the music industry, John has been topping the country music charts – collecting dozens of awards and hits along the way. This country singer has had so many successful albums and hits that you can’t fit them all into one show. Whether you’ve seen John as a member of the Grand Ole Opry, heard his country songs on the radio, or seen him on TV – he continues to perform for sold-out shows around the world, entertaining new generations of fans. John Conlee is a reincarnation of his own songs – a simple man who have lived a simple life. After he worked in the radio industry for a number of years during the 70s, he finally decided to promote his own music. After he signed with ABC records, his first single, “Back Side of Thirty” was released. Unfortunately, it didn’t become successful and it wasn’t until 1978 that he released “Rose Colored Glasses,” which he wrote himself. That song became his signature song. Since then, John has released 29 singles and all but three of them made top 20 or better. So, if you want to see one of the best Branson shows, see a one night performance show of country songs with John Conlee at the American Bandstand Theater.